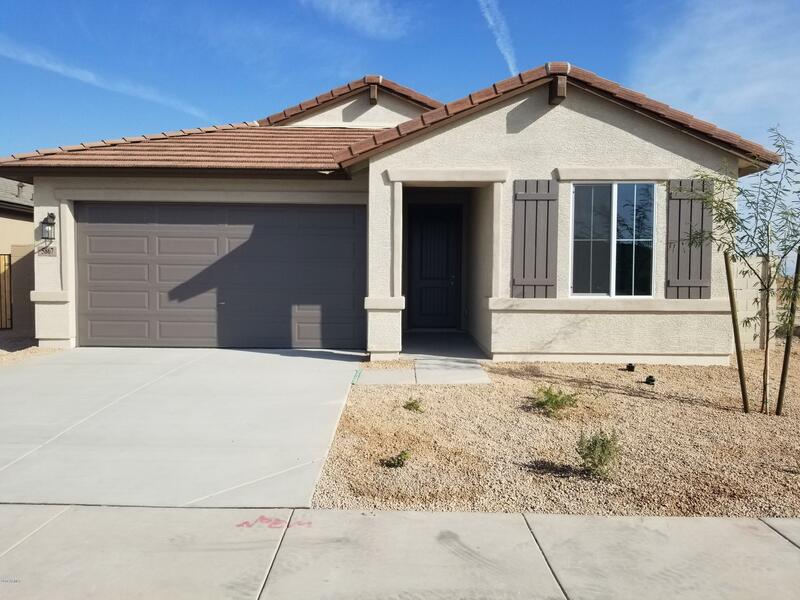 All MILLER MANOR PHASE 3 AMD homes currently listed for sale in Buckeye as of 04/19/2019 are shown below. You can change the search criteria at any time by pressing the 'Change Search' button below. "STUNNING!! Brand new construction- This home is MOVE IN READY! Open floorplan w/ 9ft ceilings, & beautiful neutral colors. Granite counters w/ 42'' upgraded cabinets, SS appliances & kitchen island, along with walk-in pantry. Upgraded tile and carpet. Hallway boasts a WALK-IN Linen closet for all of your inside storage needs!! Large covered patio opens to your backyard where you can see the mountains and sunrise. 2 1/2 car garage, plus 2ft garage extension w/ 8ft tall garage door for those "
"Stunning BRAND NEW home in growing Buckeye! 10ft side gate, 8ft garage door w/ 9ft ceilings. Inside offers open floorplan w/ granite kitchen counters, upgraded cabinetry, island and pantry. Upgraded flooring with 12x24 tile and carpet. M-bath has dual sinks in cultured marble, garden tub, separate shower along with huge his/hers walk-in closets. Security system pre-wired, and ceiling fan prewire in all bedrooms and living rm.All on over-sized lot and no direct rear neighbors! No CFDThis is a MU"